It’s estimated that up to 75% of adults here in the United States struggle with some degree of dental-related fear, whether it’s mild in nature or cripplingly severe. At Boyles General Dentistry & Implant Center, your comfort is always our top priority. Our dentists offer multiple sedative options that can create a genuinely relaxing atmosphere for even the most nervous patients, allowing necessary dental treatment to proceed smoothly and safely. If you would like to learn more or schedule a first appointment here in Midland, TX, contact us today. If your feelings of dental anxiety and/or phobia are significant in nature, oral conscious sedation is a highly effective method for curbing them. The process is simple – our team will prescribe medication and also inform patients regarding when to take it before their procedure is set to begin. Once the effects begin, patients should feel deeply relaxed and at ease. While you will technically be awake enough to interact with our team and respond to requests, it’s more than likely that any memories of the experience will be gone once you recover. 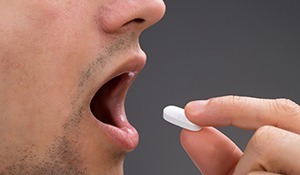 Because of this oral sedative technique’s strong effects, we do require that patients have a friend or family member drive them to and from the office. 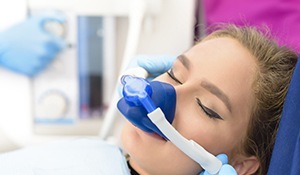 Nitrous oxide (also known as “laughing gas”) is a safe sedative option that best fits patients who experience only mild dental-related discomfort or those who have overly sensitive teeth/gag reflexes. Once you’re settled in the treatment chair, our team will cover your nose with a nasal mask and start administering the nitrous oxide. As you breathe in the gas (mixed with oxygen, of course), you should start to feel lighter and happier. One of the biggest benefits of nitrous oxide is that the effects wear off just as quickly as they begin – within minutes. That means patients can get back to their busy routines right away and even drive themselves home without trouble.